Allan Balding was a four-time PGA Championship of Canada winner, capturing the title in 1955, 1956, 1963 and 1970. The Toronto native also became the first Canadian to win a PGA Tour tournament on American soil at the 1955 Mayfair Inn Open. Two years later he finished sixth on the PGA Tour money list, winning three times—Miami Beach Open, West Palm Beach Open and the Havana Invitational. In 1968 he teamed with George Knudson to capture the World Cup. At 76-years-old, Balding won the 2000 PGA Seniors’ Championship of Canada, giving him professional victories in six different decades. 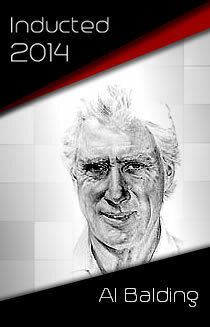 He was elected to the Canadian Sports Hall of Fame in 1968 and the Canadian Golf Hall of Fame in 1984.